It is of our own design and realization electronic panel compatible with the original equipment of the GA and ZR / ZT screw compressor series. 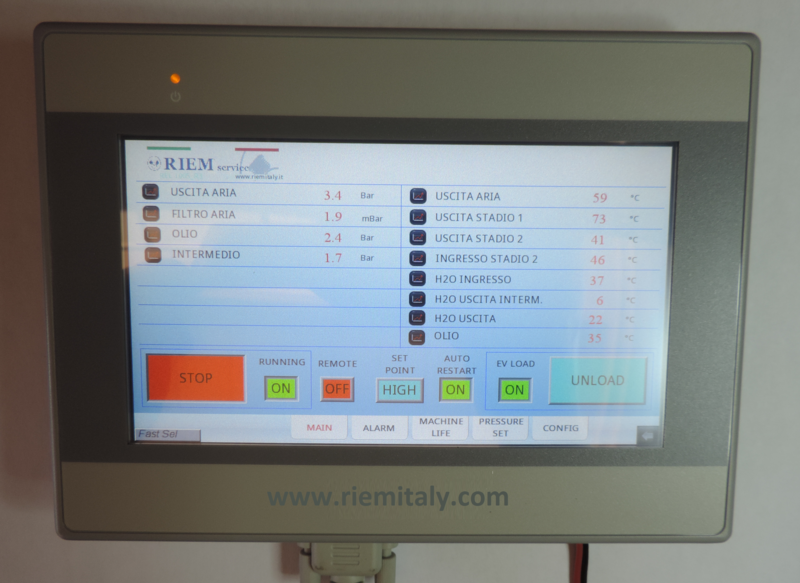 Our panel MK 49 is compatible with the machines of electronic sensors equipped with electronic panels MK I, MK II, MK III, MK IV, easy programming and without the aid of the software. It ‘also available in a version for machines under INVERTER drive.